Finally, the librettists combined a number of Carmen’s lovers in the novel into the one dashing fgure of Escamillo the toreador, a powerful rival who steals Carmen from Don José. Despite these transformations the directors of the Opera Comique, where Carmen was to be performed, begged the opera’s creators to soften its tone. This, after all, was a theater for respectable citizens. In particular the directors were opposed to the death scene. On the stage of the venerable Opéra Comique such a thing had never been seen. Public clamor led to its return to Paris in 1883, and it was received with accolades and his been a repertory standard ever since. 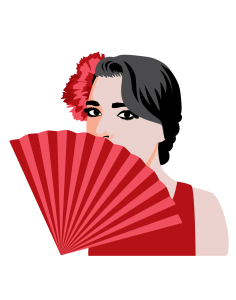 Musically, as well as dramatically, Carmen is one of the richest of operas. Each measure is a gem, full of inspiration. There are no wasted moments – even the minor characters have delicious music to sing – and each figure is carefully portrayed.